A few pictures from recent workshops to share with you today. Last week I visited the Langley Quilters' Guild. I presented lectures to their day and evening meetings and then students joined me for my Sunflower Runner workshop. 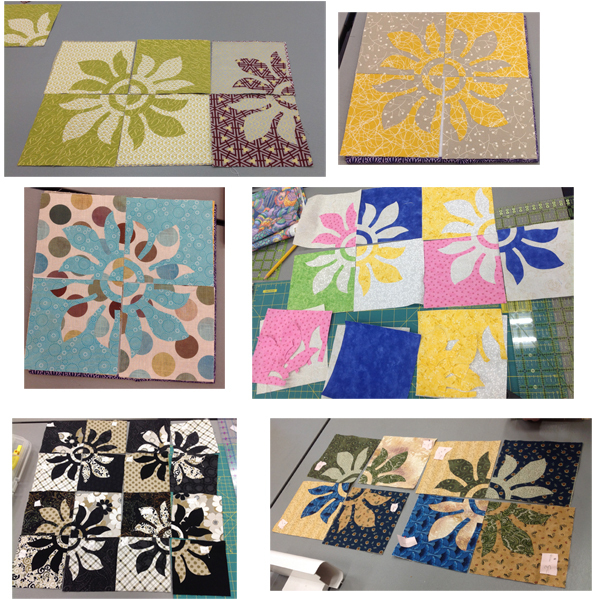 Students learned all about Give & Take Appliqué - an easy way to take advantage of positive/negative design where one fused design makes two blocks! Fabulous work everyone!! A special thank you to all the members of the Guild who were so welcoming, particularly to Jan who hosted me in her beautiful home. 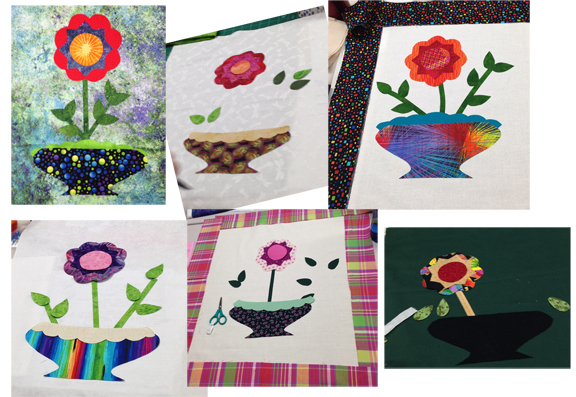 And here are in progress photos of the projects made by students in Machine Appliqué FUNdamentals at Calico Cupboard Quilt Shop here in Victoria. There is another workshop scheduled for March 17th, 12:30 - 4:00. Call the store to register (250-658-2722).